With focus and motivation, it’s possible to find the right jobs in Canada for you. It’s important to plan thoroughly so you can accomplish this crucial part of the moving process. These tips have been compiled for you based on our experience and lots of feedback from our loyal contributors. Please read them, understand them, and apply them, so you can plan for success. When you’re called for an interview, prepare using our article on the 57 interview questions you could be asked. If you’d like a professional to review your resume and point out where it could be improved, consider our Resume Evaluation service. In many professions, responding to ads in the paper and over the internet are the least effective ways to find jobs in Canada. Be selective in your job search. Do not blanket bomb 30 companies with the same resume and cover letter, as managers in companies talk. This is a common mistake that people make. 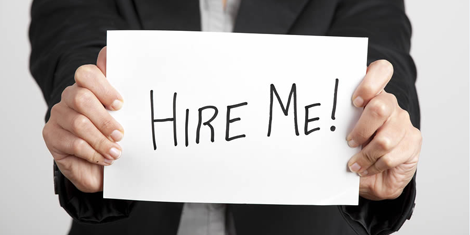 Networking, cold calling, and informational interviews are much more effective ways to distribute your resume. Always ensure you have a contact for the company and follow up within a week of submitting your resume to show your interest. “Thank-you” emails after an interview set you apart from other candidates applying for jobs in Canada. Tip: Hand-written notes are seldom seen nowadays, so use them to differentiate yourself. Create a Moving2Canada account to get job postings, resume templates, and a copy of our FREE Getting Started Guide! It’s easier to find jobs in Canada if you have strong references. Try to obtain employment references from your home country beforehand and provide them, but only if relevant to the role. Leverage LinkedIn. It’s a fast-growing social media tool, so set up your online resume and network as recruiters and employers are using this tool every day to source candidates. Learn tips and tricks on how to be successful with LinkedIn. Effective networking allows you to gain useful insight and gain crucial contacts, both socially and professionally. Research networking events for your profession or ask contacts how best to meet more people in your field. Remember, over 50 per cent of positions filled never get advertised publicly, so don’t sit at home waiting for that job to come up. Networking is crucial to finding jobs in Canada. Read our Networking in Canada article or tips on how to use informational interviews to expand your contacts. You need to get your name out there across your industry so that when a job comes up, you are in position to be called in. Get the word out to all of the local contacts you have that you’re looking for work, and always look to build new contacts, as it’s crucial to your success in a new city. One way to expand your local network of contacts (and get that all-important Canadian work experience on your resume) is to volunteer. Visit GoVolunteer.ca to find volunteer opportunities where you can meet people across all sectors of society. Keep an eye on our Facebook page and our Outpost Recruitment website as we post upcoming networking events that may be of interest. Never turn down an offer of help. Be proactive and determined. Email/telephone the person who offered you help the next day and be sure to thank them for any guidance they’ve provided. Lacking Canadian work experience? Don't worry. The Moving2Canada Jobs Board can help you land a job in Canada. Your profession may require your foreign qualifications to be accredited in Canada. Professions such as teaching, physiotherapy, nursing, and social work, among others, usually require additional accreditation. This process can take up to six months so do your research and plan ahead. 9. Be confident – you deserve to be. Moving to a new country is a challenge, but you’ve accomplished it! Finding jobs in Canada when you have to build your support network from scratch is also tricky, but you can accomplish this too. It’s important to believe in yourself throughout the process – and to make sure others know you believe in yourself too. Watch this useful TED Talk on how small adjustments to your body language can help. Remember our advice about not turning down help? Check in with your local library, as many host regular sessions with tips for getting jobs in your area. For more help you can avail of right now, register and download our free Getting Started Guide magazine. You’ll be able to read our 6 Steps to Job Success in Canada – our proven techniques to help anyone finding jobs in Canada. You will also receive access to a Canadian style resume and cover letter template! And if you’re looking for construction or engineering work, visit Outpost Recruitment to find out more about the job opportunities we have available. Foreign workers can, and do, get jobs in Canada — sometimes even before they arrive in Canada. It takes focus and motivation, but you — someone looking for jobs in Canada for foreign workers — can achieve success too. Here are some more resources to help you win interviews and find jobs in Canada. Remember also that not all recruitment is done through formal interview processes. Find out how to use an informational interview as a tool to develop your network in Canada. Get paid to get fit! A unique work opportunity in Canada. Join a winning team with Young Guns Container Crew.